Clothing shopping has never been easy for me. It seems like every time I find something I like, the store doesn’t have it in my size, the item is too short, or the clothes completely forget that us skinny girls can have a little curve, too! I remember getting to a point last year where I didn’t even want to go clothes shopping because it was doomed to fail right from the beginning. Every morning when I got dressed for work, I just stared at my tired wardrobe and wondered what in the world I was going to do to get out of this funk. After fighting with my thoughts for a bit, I took to the internet to see what I could find out there. I started looking for a fashion stylist in my area that could possibly look at my wardrobe and figure something out, but most of the services were hundreds of dollars and I just didn’t have that money lying around. Finally, I got a glimmer of hope when I saw that there were some online fashion stylist sites that weren’t going to cost me a fortune. I began to open numerous tabs on my browser to read through them all, hoping that I would come across at least one thing that would catch my attention. After sifting through the various results, closing a few tabs for things that just didn’t fit my needs, and walking and back and forth between my closet and computer as I looked at some potential outfit options, I finally came across three online fashion stylist services that I can honestly say I am so happy I found! To be completely honest, I was not very keen on the idea of letting someone shop for me through the internet – especially someone who didn’t even know what I looked like in person! If I was struggling to find the right clothes, then how in the world was an online fashion stylist going to find something that fit me right, let alone match the style that I wanted? I let my thoughts brew for a day and I finally told myself that the worst thing that was going to happen is that I would have to send back all the stuff that they chose for me. Obviously I was hoping that I would end up with a bunch of clothing items that would be perfect for my wardrobe, but internally I was expecting the worst because I was having the worst time with my fashion. I guess you could call that a fashion crisis of sorts? I’m not sure, but if you know a good name for that, let me know! Now, keep in mind that I knew absolutely nothing about these services up until about 48 hours before I made my first orders from them. It was literally one of those I’m just going to trust the process and hope for the best kind of situations. Little did I know that each online fashion stylist I got from each service would open my eyes to an entirely different world of fashion that refreshed my perspective on clothes and actually got me excited to wear new things again. If you haven’t heard of Golden Tote before, you can read all about it in my August 2014 review or in my Mystery Tote 2015 review. This was probably the scariest one for me because the style profile was short, the tote was an all-or-nothing thing, and I had literally no idea what designers they used. For all I knew, I could have ended up with some awful looking piece of clothing that looked like it was just skinned from an animal. As I opened my first Golden Tote, I was in absolute shock at how much I liked every piece that my online fashion stylist chose for me. There were a few items in particular that I couldn’t wait to wear throughout the week because they were so different than what I would have normally worn. That first tote was the beginning of a wonderful online styling service experience. I got my Stitch Fix in August and couldn’t wait to open it! Before my shipment came, I was asked to complete a more lengthy styling profile where I was able to make an entire note about things I liked, didn’t like, and what I was looking for. I even had the opportunity to post a link to my Pinterest boards so that my online fashion stylist could see what styles I liked. I did my best to create a board that showcased the outfits I enjoyed most and what I wanted my new wardrobe to look like. Once again, I was like a kid on Christmas when I dug into my box and saw the five beautiful items that were sent. As I tried everything on, I was sure there was going to be something that didn’t fit or that was completely terrible looking, but there wasn’t. Ok, another online fashion stylist knows me better than I know myself… something must be wrong here! After two successful services, I was beginning to think that I was simply overthinking my wardrobe too much and just needed some fresh eyes and thoughts to bring new life to it. Keaton Row brought an entirely different concept to the table than Golden Tote and Stitch Fix, mainly in the fact that I got to choose what I was ordering. 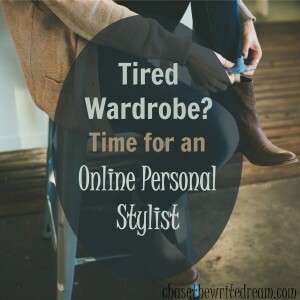 Once I signed up for the service, I was assigned an online fashion stylist who took my needs and wants into consideration. After a couple days, I received my own personalized lookbook (see example page above) that showcased a variety of outfits and clothing items that individually fit within the prices I had expressed interest in. I seriously would have bought every item from the lookbook if I had the money – yes, my online fashion stylist knew me that well (and she hadn’t even met me in-person). After going through these three services, I realized that I’m better off utilizing one of these services than my own self because they introduce me to things that I wouldn’t have considered if I had walked into a store. My clothing options have broadened and I feel like I’m finally starting to get the wardrobe I’ve always wanted. Alright, enough about my wardrobe stories… Have you ever used a service like this or would you consider using one in the future? This would be fun to try! I could see this as being a great gift idea for someone who doesn’t like to shop or doesn’t have the time, but still wants to wear cute stuff. Definitely would be a great gift idea! 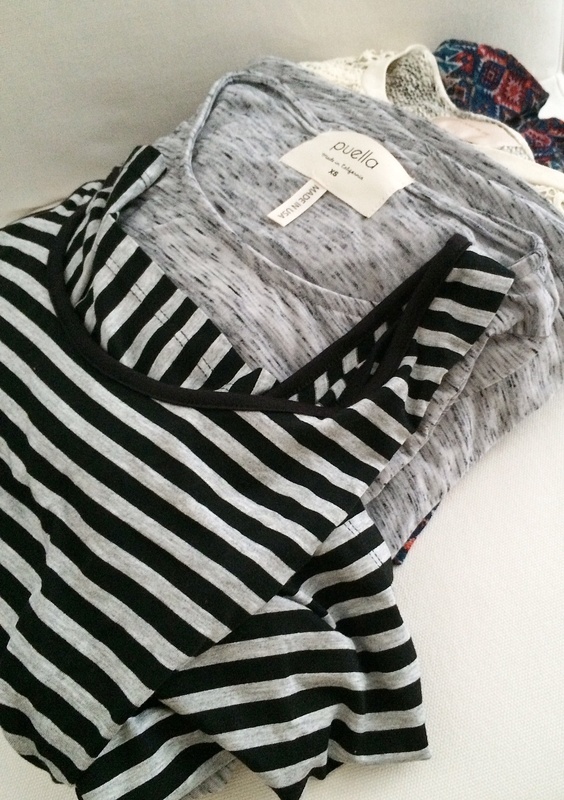 I love stitch fix, I have the same problem buying clothes and hate trying them on. I am going to have to look at the Golden Tote, Thanks for sharing! This is pretty cool! I seriously got to a point where I hated clothes shopping but now I’m having a blast getting these fun pieces! 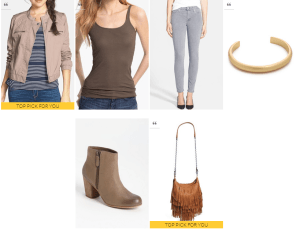 I loved Stitch Fix when I was getting it. I’d much prefer to send things back and not pay for them if I didn’t like them. I also tried Cypress & 5th for awhile but found the quality of many of their items was very sub-par. Wantable has a new Fitness Edit that is just for fitness apparel. It’s like Stitch Fix. I really like it though I’m not sure how many workout pieces I actually need. I will have to check out Wantable. I don’t think I’ve heard of Cypress & 5th but I will probably stay away from them based on your feedback. Thanks for stopping by, Angie! I loved my stitch fix! My next one should be arriving any day now! How exciting! Did you keep the same stylist? Great ideas! I’ve always put the rest of my family in front of me when it comes to style and now I have none! 😀 Time to use some of these resources! You’ll have to come back and let me know if you end up getting one. I’d love to read all about it! Stitch Fix looks like a service I’d use if they had it over here (Australia) and if they were servicing people of my ‘shape’ (ahem). I met a stylist but her services are at the local shopping centre, she also goes shopping with you to help you try on and gives you her opinions. I haven’t used her, though. I was so nervous to try a styling service but it’s a lot of fun! Still waiting for Stitch Fix and similar services to hit the Philippines! I’m always amazed at the different pieces they end up sending me! I keep debating on trying Stichfix – I get all pumped up to do it and then….life! Maybe before the Spring is over I’ll try one! Thanks for sharing your experiences!